Although the property market is currently slow, under certain circumstances it can still be worthwhile investing in property. If you can get hold of a loan at a low rate of interest or if you have capital you can tie up (at least for a while) in the purchase of a property, then property can still be a good investment in both the short and long term. When investing in property it’s vital that you investigate the housing market in the area where you are thinking of buying – if you are buying to let you don’t have to worry too much if the market is sluggish, but if you’re buying a property to redevelop – unless you have a property buyer in mind – you have to be sure that you will be able to sell the house or flat on as soon as possible because the longer you hang on to it after the completion of any refurbishment, the less money it will make for you and you could even end up making a loss overall. 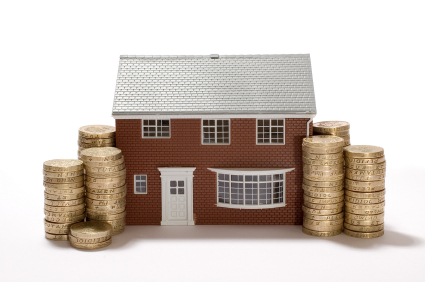 When considering a buy to let property, it’s really important to account for ‘all’ the costs involved. I say ‘all’ because many people often underestimate the maintenance costs involved with property rental. If you’re a first time landlord then it may be a good idea to buy your buy to let property locally, you will then incur fewer day to day costs if you’re able to manage the property yourself. If you buy away from where you live, perhaps because prices are more attractive or you will be moving to the area at sometime in the future, you will likely need to pay an agent to look after the property for you. You might also need to employ maintenance staff for the house and garden, especially if you are letting as a holiday home. You must take all of these costs into account, as well as landlords’ insurance and tax. Although in the early days of property rental your initial returns may be small, you will still have the property to sell in the future and although the market is slow, the general trend of long term property prices is up, so you should be in profit at the end of the day. If you are buying a property to refurbish or develop, you will need to look at the market carefully because your costs will be higher and it’s important that you’re able to move the property on quickly. In the worst case scenario of being unable to sell in a slow moving market, you may be able to let the property out to cover expenses and wait until the market is more buoyant. With quite a lot of costs involved in having a house or flat refurbished for you, in a slow market you might be best off waiting for a while or perhaps buying a property which can be sold on with a bare minimum of work, therefore limiting your capital investment. Some homes linger on the market and can often be bought cheaply simply because they have poor interior presentation or a very unkempt garden or something else which is easy and cheap to fix but seriously puts off buyers. In these cases, it is often possible to make a property more marketable with only a small outlay and this kind of refurbishment can also be organised at a distance, opening up your search area. To get the best return on your investment, consider doing some of the work yourself or perhaps helping out a builder to reduce the costs, this can really help to make property a good investment in a slow housing market. 3 Responses to Investing in property ~ Is it still worth it? I am bullish on property, especially in places like Europe where space is scarce. Property prices are quite expensive but there is a strong demand to maintain them. I don’t think foreclosures like in the US and prices crashing to 25% of what it previously sold for are realistic in Europe. In the long term I’d always plug property as a wise investment but I’m not as confident as some about the short term prospects. Like you I don’t think 75% drops are a realistic threat but I also don’t think a 20% drop is unrealistic if low interest rates come to an abrupt end for some unforeseen reason. I think it’s just easier to invest in stocks/bonds, but the returns are much lower than what you can find in real estate. It’s the risk vs. reward question. If you can do renovations yourself and are handy, there is no doubt that real estate is an awesome choice!